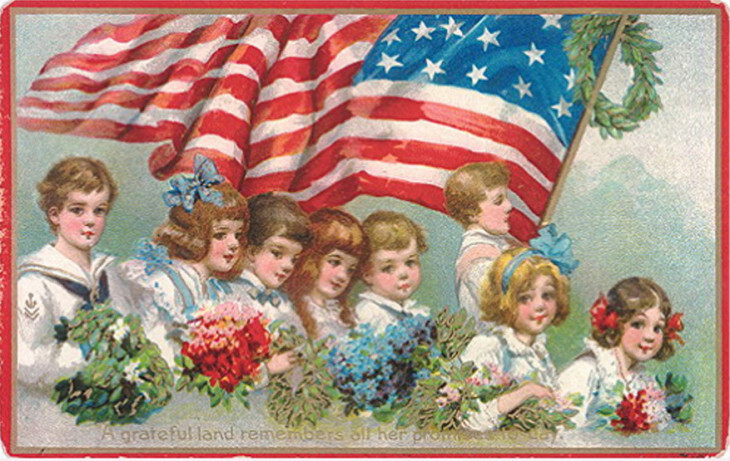 Memorial Day used to be called Decoration Day, a day to spend some time honoring those who had once served in this country's Armed Services. 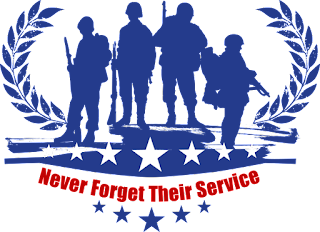 And, just as they do every year, cub scouts, boy scouts, girl scouts, and service men have spent time decorating the graves of deceased soldiers buried in our many national cemeteries. 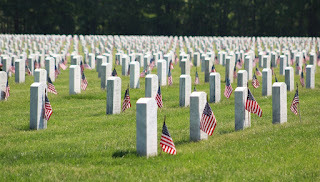 For me, that means the scouts from Riverhead, NY have once again volunteered to place flags on soldier's graves in Calverton National Cemetery, including one that is important to me, and for that, I would like to say thank you to each and every one of them. 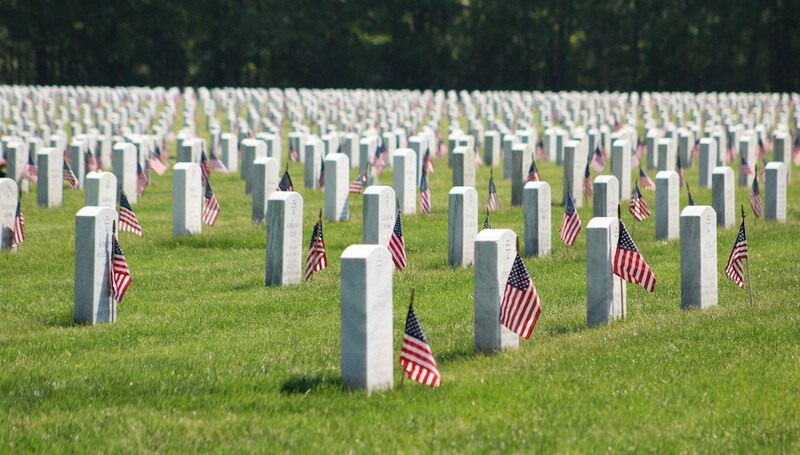 Enjoy your Memorial Weekend plans, but while you do, take a moment to think about those who fought and died for our freedom. And hearts that gave their treasures up when manhood was the price. Now bring the sweetest offerings and bless the sacrifice." I absolutely loved reading Timothée de Fombelle's two historical fiction novels, Vango: Between Earth and Sky and Vango: A Prince Without a Kingdom, so when I saw that he had another new work I couldn't wait to read it, too. And it was, quite simply, wonderful. de Fombelle has spun a mesmerizing tale that seamlessly weaves together the world of fairy tales and the real world over different time periods. He begins his tale, in this world, with a 14 year old unnamed, unreliable narrator, who heart has just been broken by a girl who once was a fairy, stumbling upon the house of a recluse named Joshua Pearl. Inside the house, the narrator discovers hundreds of suitcases collected by Joshua Illiån Pearl. Asked what is in the suitcases, all the narrator is told is that they contain things needed for him to return to where he came from. Who is Joshua Pearl and where did he come from? The narrator writes "the only thing I'm sure about are these first words: "Once upon a time." A young boy standing outside a marshmallow shop in Paris in 1936 is taken in by a man and his wife, owners of Maison Pearl, a couple whose son, Joshua, had died two years earlier. Not knowing how he ended up at the shop and with only bits of memory from his past life, the boy stays with the couple, who treat him like their own son. During Christmas, 1938, the boy found his first link to where he came from in a book of fairy tales that mysteriously appeared in the the kitchen of Maison Pearl while he was cleaning up. He knew then that he had to leave to find his way back to where he came from. Meanwhile, fascism is on the march in Europe, and when war breaks out, the boy secretly enlists in the army under the name of Joshua Pearl. In June 1941, Joshua and a companion are captured by the Germans and sent to a prison camp in Westphalia, but not before telling his companion the truth about himself. In the camp, Joshua discovers a man wearing a mermaid's scale around his neck, a second link to his former life. Eventually escaping the stalag with the mermaid's scale, Joshua ends up fighting in the resistance. There, his captain tells him that the war will stop only when the world is really to believe, but they are not ready yet, so they must have tokens of proof about what is happening. It is these words and having already acquired the Mermaid's Scale that sets Joshua Pearl on the quest of collecting tokens of proof that will take him back to the Kingdoms, back to where he came from. In between the tale of Joshua Pearl, whose real name is Illiån, the reader also learns the story of Oliå, the fairy that Illiån loves and wants to return to, not knowing that she had given up her powers as a fairy to be near him in the real world. But before she did that, she was cursed and told that the moment he looked at her, she would disappear forever, she could only see him from a distance. Despite their love, they could never be together. As for Illiån, before he became Joshua Pearl, he was the younger brother to Iån, who seized power to rule over the Kingdoms from his father, the King, at age 13, with the help of Taåg, an old genie, and Iån's godfather and adviser. Iån orders that Illiån be killed because he has also fallen in love with Oliå. But Taåg disobeys Iån and banishes Illiån to a far away world from which there is no return. Three intertwined stories lines over three time frames makes for a difficult novel to review without spoilers, though I've tried not to include any. If I have, I apologize in advance. I know this sounds like such a complicated novel, but it is a such skillfully and meticulously crafted, that the readers goes from story to story, time period to time period without getting confused. Not that it is a flawless work, but the flaws and holes in the plot are minor enough that they don't take away from the story at all. 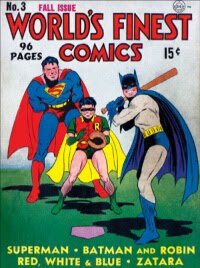 Each character is well defined, and each world is totally imaginable. At times, de Fombelle keeps the reader in such suspense about what will happen next, it is hard to put down. I began reading this on the train from NYC to Washington DC, and I could have ridden for as long as it took me to finish in one sitting (alas, that didn't happen and I had a busy few days ahead of me with not much reading time). In the end, it is that 14 year old boy, now a man with a wife and family of his own, who goes back to that house of the reclusive Joshua Illiån Pearl, and who ultimately writes this story using those precious tokens of proof. 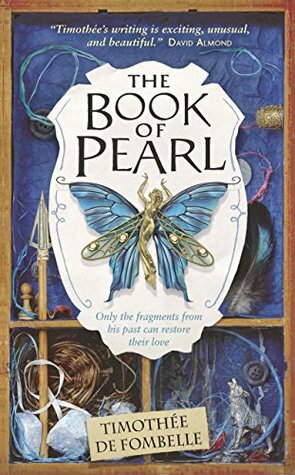 The Book of Pearl does an absolutely brilliant job of asking the reader to consider this: do we create stories or do stories create us, or perhaps, is it a combination of both. On the night that the Nazis took all the adults in their town away, sisters Rachel and Toby are separated from their parents but not before they are given a shoe paste tin with three gold coins in it. Not knowing what is going to happen to them, they are told to use the coins only if they have to, that they would know when the time was right. And most importantly, they must promise to try to always stay together. Two years later, the sisters are now in Barrack 25 in Auschwitz, along with many other Jewish girls. Every other day, the girls build a wall of heavy fieldstone, and then, they tear it down only to begin again. When a girl gets sick, she is taken to the hospital and never seen again. Everyone in the barrack knows what has happened to her and do their best not to get sick, despite insufficient clothing, food, and bedding in bad weather. When Rachel becomes ill, there is nothing Toby can do to prevent her from being taken to the hospital while she is working. Discovering Rachel gone when she returns, Toby knows she needs to do something quickly, or she will never see her sister again. Is this the right time to use the gold coins her parents gave them? Using her wits, some clever planning, some luck, and the gold coins, Toby manages to get Rachel out of the hospital and back to the barrack. But the next day at roll call, she pays dearly for what she has done when the guard sees Rachel on line but not in her roll book. The guard whips Toby on her back with the leash of her dog, but she didn't send Rachel back to the hospital. 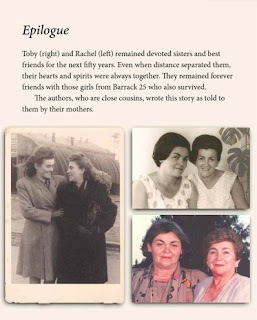 Both sisters survive the war and walk out of Auschwitz together. 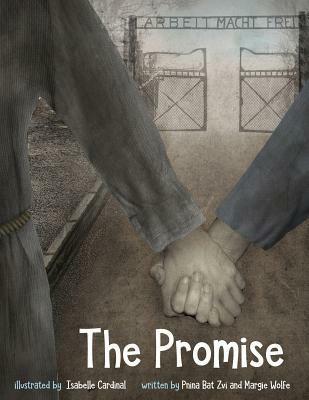 The Promise is a compelling and inspirational picture book for older readers about the importance of keeping promises, of family, and of the strength of sisterly love, particularly under the kinds of circumstances Toby and Rachel found themselves in trying to survive Auschwitz. And although it is a fictionalized biography, it is based on the real life experiences of sisters Toby, mother of author Margie Wolfe, and Rachel, mother of author Pnina Bat Zvi. The illustrations by Isabella Cardinal are done in a mixed-media of collage and photos together with textural drawings and finished in Photoshop, and really capture the emotions that sisters were feeling, and the anger and hate the guards had for them. The Holocaust was a very dark time in history and the illustrations aptly reflect that. Holocaust picture books are always a difficult subject for young readers - how much graphic description to include. If too much is included there's the risk that the young reader will be so traumatized by what they read, that they never want to read about the Holocaust again. And although Toby and Rachel, like everyone in a Nazi concentration camp, faced beatings, brutality, starvation, and death everyday, Wolfe and her cousin Bat Zvi have managed to find a balance between the mistreatment and the love and resilience that kept these two sisters fighting for their lives. The Promise is an important addition to the literature of the Holocaust, especially as it recedes into history. Keeping the Shoah alive by remembering it is so important now. The novel Making Bombs for Hitler is the story of Lida Ferezuk, who was taken from her home in the Ukraine, put in a cattle car and sent to a slave labor camp, where she eventually ended up making bombs for the Nazis. In that same cattle car was Luka Barukovich, also taken from his home in Kyiv, Ukraine. Lida and Luka become friends and watch out for each other in the slave labor camp, but when the opportunity for escape arises, Luka decides to risk it at Lida's urging. The War Below begins in 1943 with Luka hiding in a truckload of corpses, hoping to escape the camp, return to his home in Kyiv and find his father, who had been taken away by the Nazis and sent to Siberia. Now, wounded, wearing a hospital gown and bare foot, Luka jumps from the truck about two kilometers from the camp, in the rain, and finds his way to what appears to be an abandoned farm. The farm, however, is the home of Helmut and Margarete, an elderly couple who feed and clothe Luka, and urge him to remain with them until spring. But when he discovers that their son is a power-hungry officer from the camp he has just escaped, Luka decides it is time to leave. By now, the Nazis are losing the war, and there is constant bombing around Luka by the British and Americans. Sticking to wooded areas, Luka meets Martina Chalupa, a girl who has been living and surviving in the woods for a while. The two decide to continue on together, and between Luka's knowledge of natural medicines and remedies (thanks to his pharmacist father) and Martina's survival skills, the two do well together. Eventually, Luka and Martina run into members of the Ukrainian Insurgent Army, an underground (literally) resistance group. Both Luka and Martina decide to stay and fight with the resistance, Luka as a medical helper and Martina as a soldier. Luka stays with the resistance until the end of the war in 1945, when he is told to head west rather than east. Stalin has decided that if Russians and Ukrainians were captured by the Nazis, put to work and survived, they are traitors to the Soviet Union and are put to death. Eventually, Luka makes his way to a displaced persons camp, where he begins searching for his mother and his friend Lida, in the hope that they both survived the war. Eventually reunited with Lida in the DP camp, he is lured away again with the promise that his father has been found and is living in Kyiv. Anxious to see him, Luka boards a truck with other Ukrainians returning home. It very shortly turns out that they have been duped by NKVD (the Soviet secret police) and the plan is to kill them as traitors. But if you have read Making Bombs for Hitler, you pretty much know how Luka's story does not end on that truck. 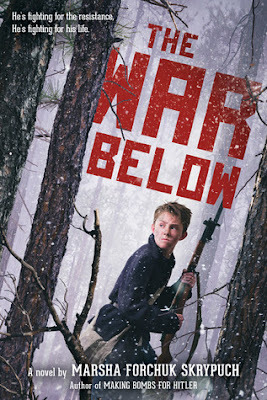 The War Below, originally published under the name Underground Soldier, is every bit as solid a novel as Making Bombs for Hitler. Both books have been reissued, and they are part of a trilogy. The third book, called Stolen Child, is the story of what happens to Lida's younger sister Larissa, and, I am sorry to say, it is the only one I haven't read yet, but I am hoping it will be reissued as well. Luka is a strong, resourceful, compassionate character, though he is also racked with guilt at not being able to save his friend David, killed in the Nazi massacre of Babi Yar in 1941, and at leaving Lida behind when he escaped the labor camp, and at not being able to help Martina more. Skrypuch very cleverly incorporates background information about what Luka experienced in Kyiv when the Nazis arrived, so that the reader really understands what is going on for him. The novel is narrated in the first person by Luka, and it is a captivating novel. From the moment I began reading, I couldn't put it down. And, although there is a lot of overlap with Making Bombs for Hitler, repeating information you might already know, it really doesn't take away from the story at all, but also means this can be read as a stand alone novel. Skypuch is not afraid to confront and interrogate the cruelties of the Soviet and Nazi regimes, and I again feel that I should warn readers that there are some graphic descriptions that might not be suitable for some sensitive readers. But, I also have to say that the overall story is one that shouldn't be missed, mostly because the Eastern Front is not one most of us are terribly familiar with, though that is beginning to change. Be sure to read the Author's Note at the back of the book, and you might also find the brief description of the certain historical events included in The War Below to be helpful. This book is an ARC received from the publisher, Scholastic Press. It's May 1940 and, while Britain is at war with Germany, nothing much has happened so far on the home front, except lots of talk about the possibility of England being invaded, and continued preparations for the war. But now that the so-called phony war has ended, things are heating up. For 15 year-old Joe Coombes, already an apprentice for Yates and Sons, painters and decorators, it now means a job painting the buildings at every RAF airfield in the country with a special new fire-retardant paint. But the vapors from the paint give Joe headaches, and when he is found dead from an apparent fall, it's all chalked up to being a suicide rather than the fatal blow on the head he received from the two men following him as Joe was out walking one night (NOT a spoiler - it happens in the Prologue). Joe's parents, owners of a local pub, ask Maisie to investigate what happened to their son, and Maisie readily accepts, having watched all the Coombes children, Joe, Archie, and Vivian, grow up in their close-knit family. The family has always been well provided for, but now, with the war finally beginning to heat up, Maisie notices that both Archie and Vivian are living better than most people, always wearing fashionable clothing, having nice living conditions, and even smoking expensive cigarettes from packs of 20 instead of cheap Woodbines, "sold by the one's and two's" and not even bothering to finish them. Luckily, Maisie still has gas coupons, so she drives several times down to Hampshire with her assistant Billy Beale, the last known area Joe had worked in, and begins questioning everyone who had contact with Joe, including his fellow workers, his landlady and the air force. Everyone liked Joe, but no one can help much. And Maisie notices that she is now being followed by a car with darkened windows, all the way back to London. Meanwhile, Maisie's best friend Priscilla Partridge has been having a problem with her middle son, Tim, ever since his older brother joined the RAF. Tim also wants to be involved in doing work for the war effort, but is still too young. She asks Maisie is Tim might visit Chelstone, Maisie's country home inherited from her deceased husband. The hope is that Maisie can talk to him, her father will keep him busy with farm chores, and her young evacuee Anna, 5, will be thrilled to have him there as she recovers from measles. The war in Europe isn't going well for the British and French, and they soon learn that the British Expeditionary Forces (BEF) are being driven to the coast of Dunkirk by the German Army and are basically sitting ducks for the Luftwaffe. But when a call goes out for any craft that can cross the English Channel in an attempt to rescue the stranded soldiers, Tim and his friend Gordon Sanderson suddenly go missing as does one of Mr. Sanderson's boats. As if the death of Joe Coombes and the possibility that Tim went to Dunkirk as part of the rescue flotilla isn't enough, Maisie has also decided to begin looking into the possibility of adopting Anna, though things don't look good for her as a single woman. And just how does that nice man living in the same building as Maisie's office fit into the plot? I really enjoyed this Maisie Dobbs mystery. There is lots of interesting every day information about life on the home front included as the Germans get closer and closer to the English Channel and the possibility of invasion become real. Invasion was something people really worried about during WWII, with good reason, considering the number of countries Hitler had already invaded. 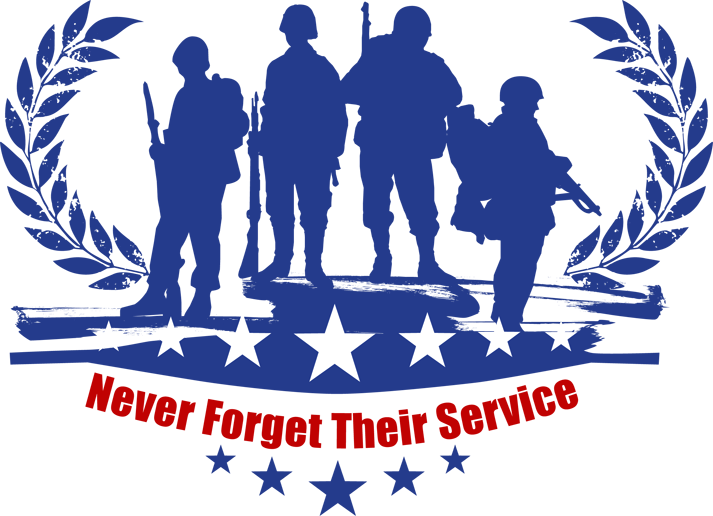 On top of that, there is worry about the sons who have already enlisted and are fighting in France - Billy's son Billy Jr. in the army, Tom Partridge flying in the RAF, both boys Maisie is quite fond of. I found the mystery interesting and there were quite a few surprises I don't see coming - which I like in novel. And the subplot of the missing Tim allows Winspear to include a lot of information about events in the spring of 1940, just before the Battle of Britain began. 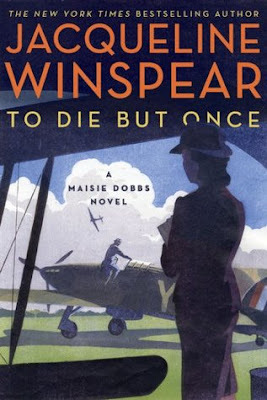 And as much as I loved reading the three Maisie Dobbs novels that take place just before and during WWII, and plan to read any future mysteries of hers in this time period, this novel made me realize that I don't much care for Maisie's character. I find she is too perfect and that she has too much of a flat affect - she never gets angry, or has a good laugh, or a good cry. Sometimes, when she thinks about her late husband and the child she lost, there is a sense of tearless sadness, or when she is with Anna a kind of motherliness about her, but even at that, I don't get a feeling of warmth. Odd that, to like the books in a series so much, but not the main character. Even odder, it doesn't spoil the novels for me at all. What I did find interesting, and you may as well, is that the the story of young Joe Coombes is based in part on Winspear's father's WWII experiences as an apprentice painting building at military airfields with a new fire retardant emulsion. You can read what Winspear writes about this on her website HERE. I hope you enjoy this book as much as I did, and I can't wait to see what Maisie's next novel will bring.